Published on February 20, 2018. 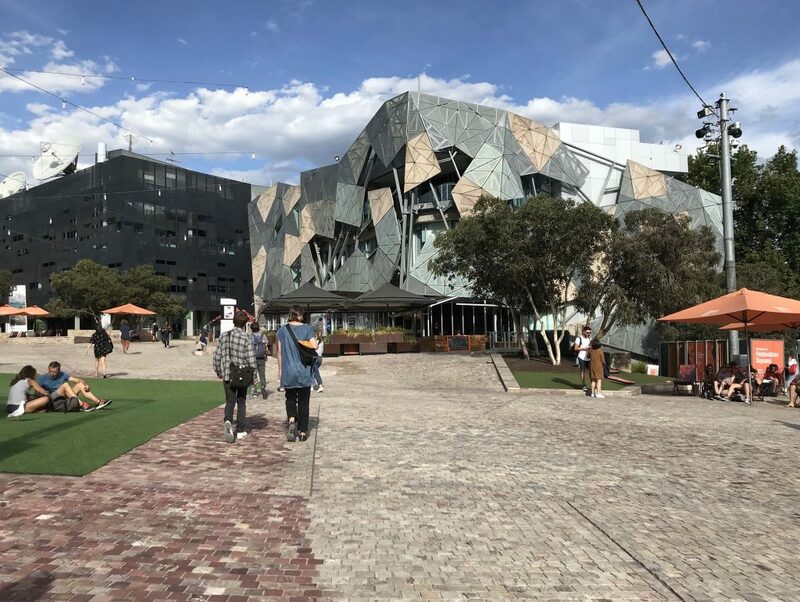 The National Trust considers that Federation Square is a place of architectural, aesthetic, historic, and social significance to the state of Victoria. The National Trust believes that a masterplan subject to a process of public consultation should be prepared as a matter of urgency to guide any future development at Federation Square, including any proposed replacement of the Yarra Building, landscape design, and any station entrance associated with the construction of Town Hall Station as part of the Melbourne Metro Tunnel project. The National Trust opposes any redevelopment at Federation Square which is undertaken without transparency and a genuine process of public consultation. We are concerned that the proposed development of a flagship retail store at Federation Square is inconsistent with the objectives outlined in the Civic and Cultural Charter for Federation Square, and inconsistent with the site’s high degree of social and cultural significance which has evolved and strengthened since Federation Square was conceived and constructed. Quotes attributable to Simon Ambrose, Chief Executive Officer, National Trust of Australia (Victoria). Media Contact: Felicity Watson, Advocacy Manager. Once again the public are not having their rightful say in what should be happening regarding a public place of significance, An Apple retail store ??? Once again we see the arrogance of this Government just bulldozing their way through without the proper public consultation. Federation Square is a public cultural space and no place for a multi- national flagship building. federation Square as built as a complete concept, now it will be a mixed hochpoch. Who is going to move in next with their design? Like the original design or not it should stay as is. Keep the square non – comercial. We do not need an Apple store. I deplore the selling off of a public asset to private enterprise. The Fed Square giveaway is as unconscionable as allowing Bunnings to put a store in the Botanic Gardens. The public must be involved in what happens to public assets. This coming from a Labor government is additionally remarkable and objectionable. The Vic Gov’s only apparent justification is the high rent accruing from Apple’s presence. The notion a computer shop will in any way enhance the experience of the square is completely laughable. I totally agree the area at Federation square should remain non commercial. Further more there should be full disclosure, public input and investigation in to this before anything is done. It is a great public space for cultural events and promotions and I believe is a good avenue for cross cultural learning and understanding. Keep the large flagship companies out and please lets preserve Melbourne from any more CBD highrises. Protect our heritage buildings!